Creative Title : BQ#2 – Unit T Concept Intro: How do the trig graphs relate to the Unit Circle? BQ#2 – Unit T Concept Intro: How do the trig graphs relate to the Unit Circle? Period? - Why is the period for sine and cosine 2pi, whereas the period for tangent and cotangent is pi? 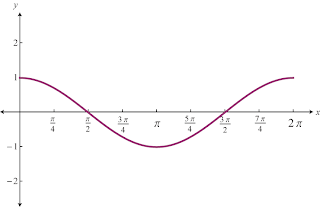 The reason why sine and cosine have a period of 2pi is because that's how long it takes for a sine/cosine graph to repeat itself. The repetitions are based on the signs of the trig function and the unit circle. 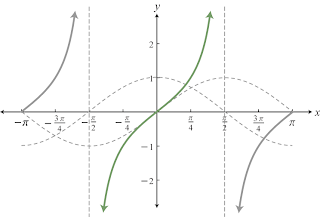 Whereas tangent, tangent repeats the sign pattern in the unit circle, so for it to complete a repeated cycle. So in 2pi there would be 2 graphs looking exactly the same for that reason only 1 pi is needed for the graph. Amplitude? – How does the fact that sine and cosine have amplitudes of one (and the other trig functions don’t have amplitudes) relate to what we know about the Unit Circle? We have to remember that in the unit circle, a value greater than 1 and less than -1 would result as an error, because the values cannot be greater than that on the unit circle. 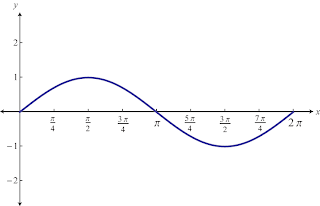 for that reason those are used as amplitudes while graphing a sine/cosine graph.